I had a bunch of pinecones just waiting for a project and this one was perfect. 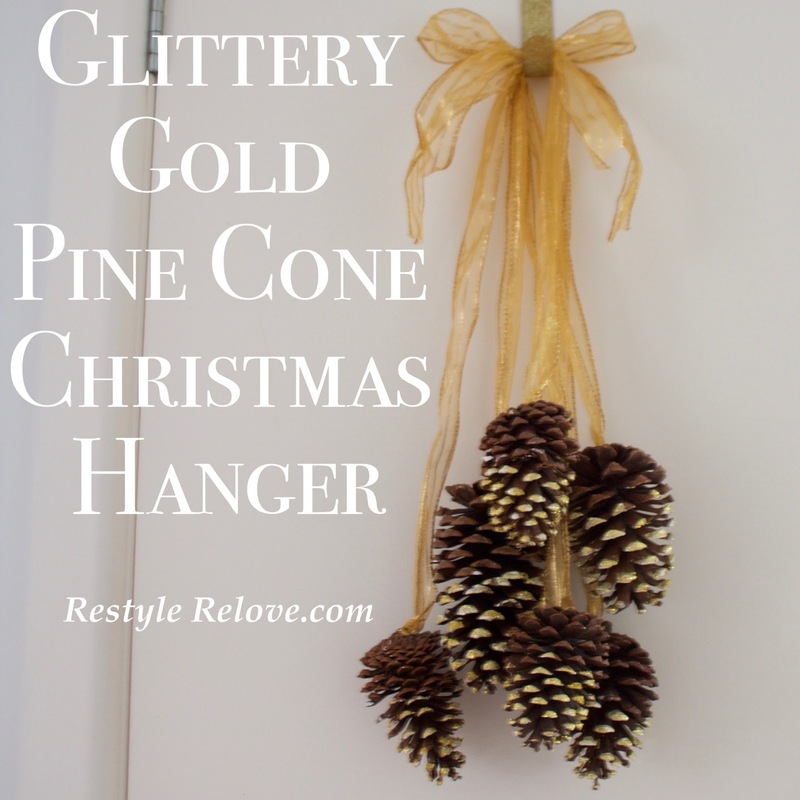 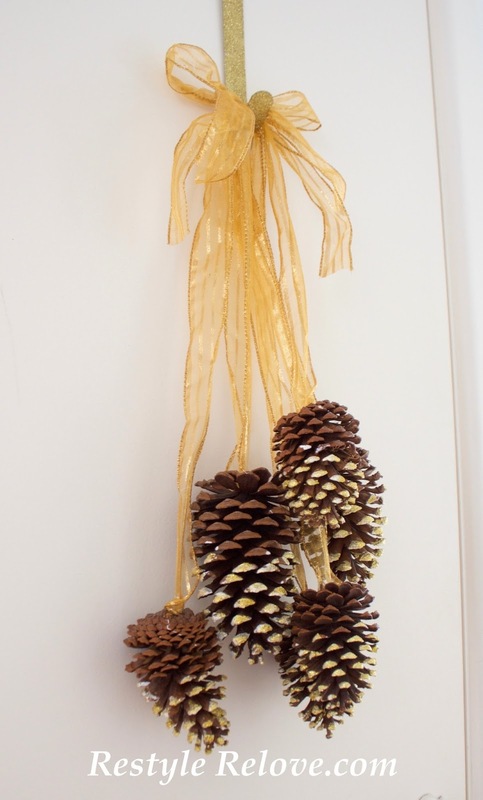 I grabbed some lengths of gold ribbon and using tiny screws attached each end of my ribbons to a pinecone. 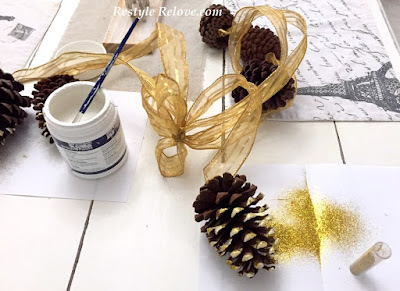 Then I used some white paint to paint the lower scales of my pine cones. 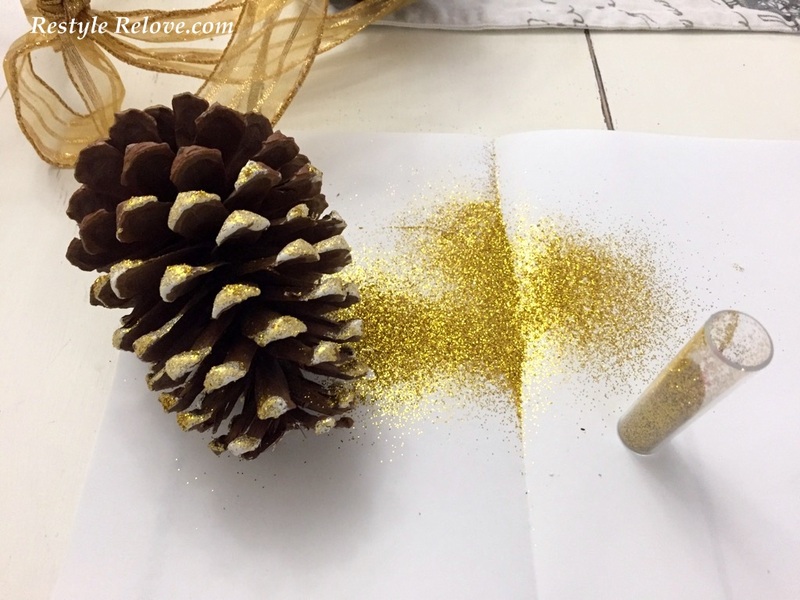 And while the paint was still wet I sprinkled on my gold glitter. I did this over paper so I could shake off the excess glitter and pour it back into the container. When my pinecones were dry, I held up the ribbons so that the pinecones were at different lengths. Then I tied a bow around them using more of the same gold ribbon. 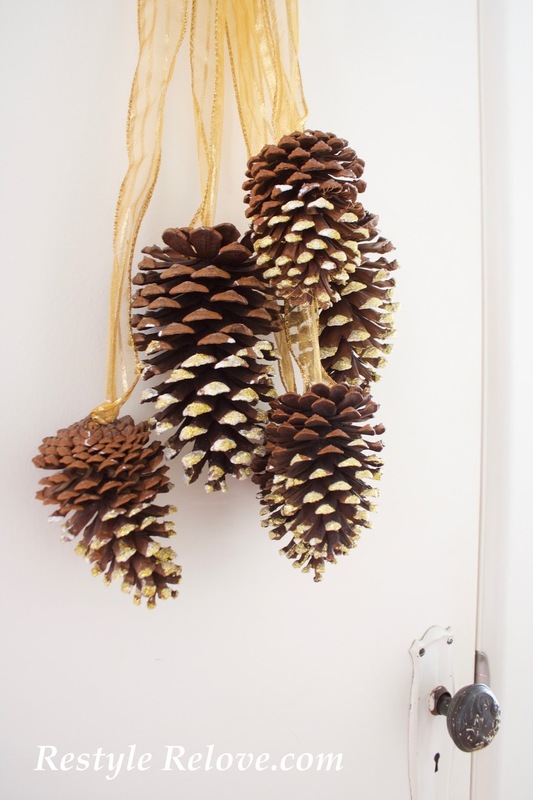 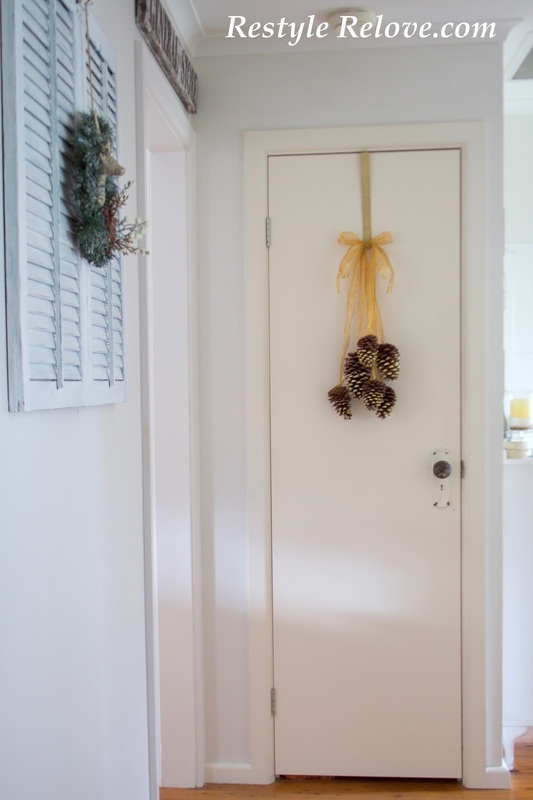 It looks so pretty hanging on the hall cupboard door. 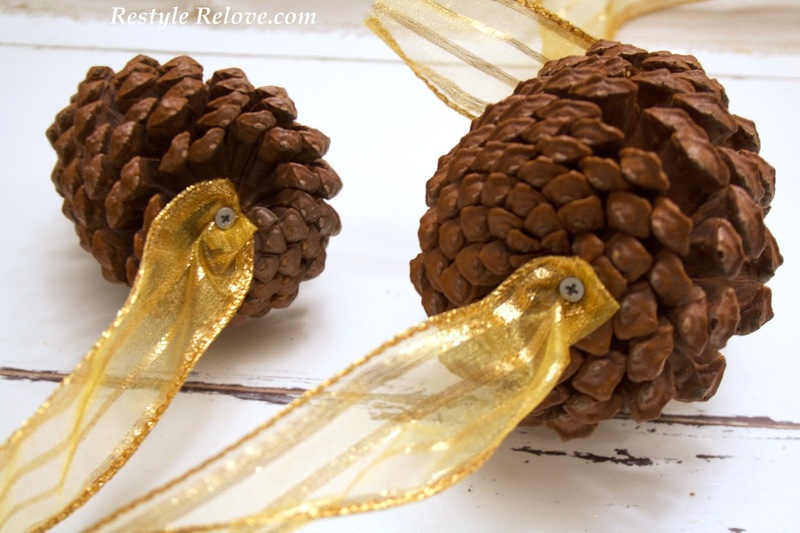 Love these Julie and I would have never thought to screw them brilliant!